Dr Fahrenheit is the best villain name I’ve heard this month. 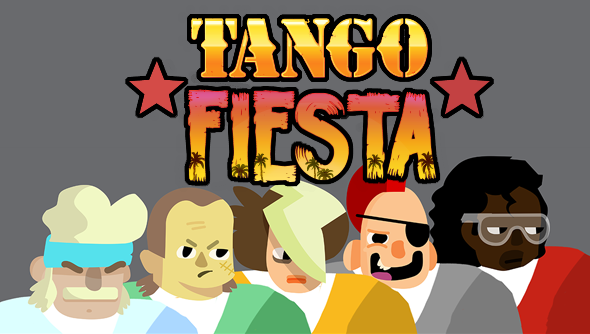 He’s just one of the five new bosses added to Tango Fiesta in its latest update. It’s not just new bosses, though. Spilt Milk have thrown in four new weapons, six new enemy types, and a whole new game world. It’s a massive update to the game that pits you against AI and other players in this 80s action movie-inspired arena shooter. Along with Dr Fahrenheit there’s Snowflake, General Payne, The Shocker, and Lockjaw. Each of them more villainous than the last. Their backstories vary from former-body-builder-turned-Killionaire to a broken-hearted lover with a penchant for electricity. Along with the five new bosses are new weapons designed to burn you, slice you, and electrocute you. There’s The Shocker, which “if you are unlucky enough to get hit by this fairly slow moving bad boy it zaps you good, causing damage and messing with not only your movement but also your trigger finger”; Dr Frosty, a futuristic freeze ray; a flamethrower; and the all-important Mark & Hamill Chainsaw. – New trap: spikes! They hurt. – New trap: ice! A slippery customer. – Updated the origin spawn location of the blood trails when enemies are defeated to be more inline with their bodies.